I love a good bargain as much as the next person, and my Amazon Prime membership helps me scoop up deals whenever I find them on the Amazon site, and then get 2-day shipping. My membership pays for itself again and again throughout the year because we also utilize Amazon Prime TV, at no extra cost. Right now I’m watching a kind-of-spooky series, Fortitude. Before you get too excited about shopping these bargains, make sure you’re an Amazon Prime member, if only for the next 29 days. You can sign up today for a free, 30-day membership. 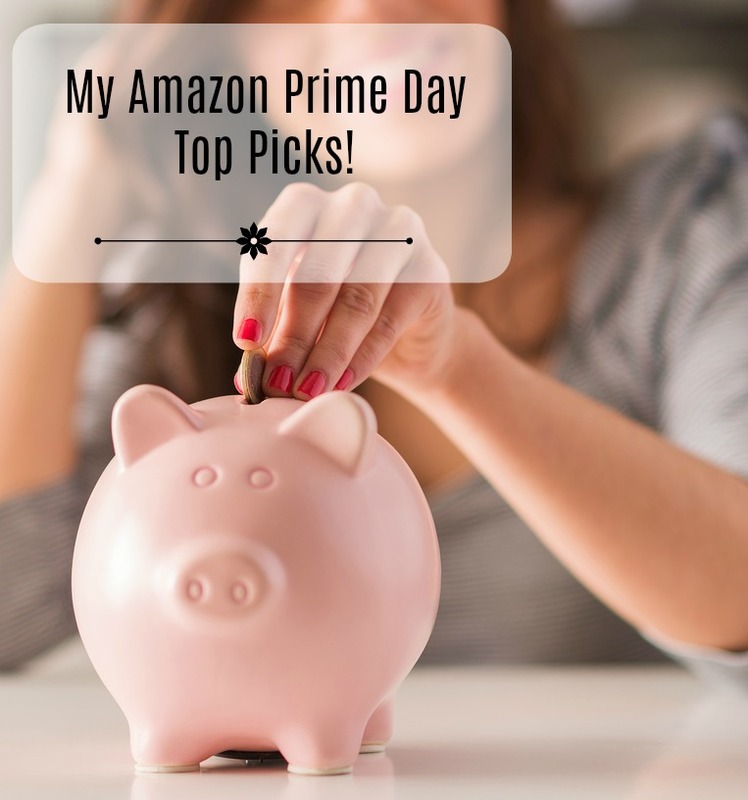 Check out all the bargains listed here, as well as others you’ll find on the Amazon website, and then enjoy Amazon Prime TV for 3 weeks, place orders for anything else you like and get the free 2-day shipping, and then cancel. Be sure to mark on a calendar, “CANCEL AMAZON PRIME!” if you don’t want to be charged the membership fee. 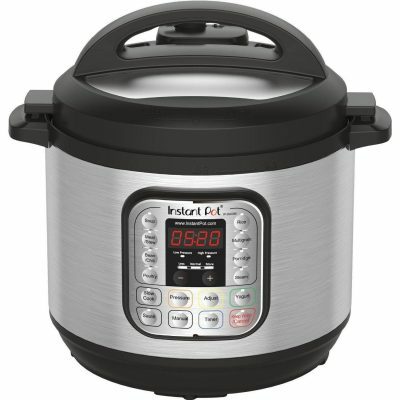 I heard about this amazing pressure cooker a year or so ago and, since I’m always looking for ways to make cooking easier, I bought one. I really do love this thing. (It was reviewed on my blog here.) I’ve used it to make a quick batch of hard-boiled eggs (they turn out great every time) and have enjoyed making a 1-pot spaghetti and meatball meal. Just put a jar of sauce, dry spaghetti noodles, some frozen meatballs, and a bit of water in the Instant Pot and it all cooks together for an amazingly quick dinner. I also love it when dinnertime is right around the corner because I can cook up some sort of meat fast. What I use it for quite often is with tough stew meat, which I end up adding to a pot of chili. I dice the stew meat into smaller pieces, sometimes use additional cuts of meat from the freezer so my hubby has a super-meaty portion of chili, and then Instant Pot the whole thing on the “Stew” setting. When it’s finished, I can either continue cooking my chili in the Instant Pot itself (there’s a setting that turns the pot into something like an electric skillet) or transfer the cooked meat to a pot on my stovetop. By the way, this particular model also makes yogurt! We LOVE our Ninja blender. Many times I’ve been tempted to splurge and get a much more expensive blender that everyone raves about (we’re talking $500+ for that one), but then I go back to our Ninja and realize I’m still very happy with it. Our Ninja is used every single day, sometimes several times in one day. It’s a workhorse, and we’ve owned it for 3 years. When I make a recipe that calls for very finely chopped cauliflower, I use the Ninja. 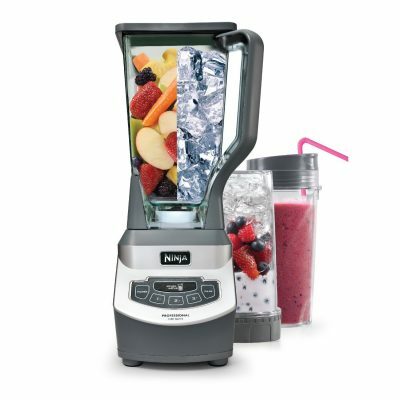 Smoothies, soups, salsa — again and again, we pull out the Ninja, and Ninja customer service is outstanding — they replace damaged parts for free. Check out the customer reviews on this one! That many happy customers can’t be wrong. I like this grill because propane is inexpensive, safe to store, and a highly portable fuel. It collapses down to something about the size of a carry-on sized suitcase on wheels. Check out the photo to the left. Here on the blog, we’ve written about safe fuels for storage (you can read that article here) and more about propane fuel, specifically, here. 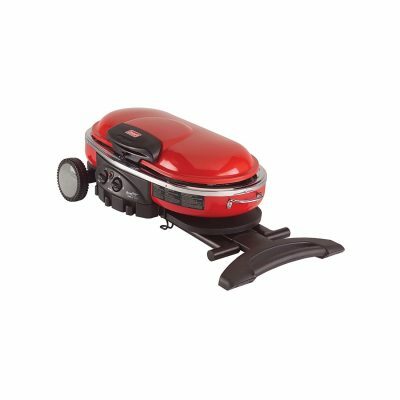 For camping, bugging out, or setting up a grill in the backyard when you don’t have much storage space, this Coleman grill is the one to have. I’d also recommend getting the griddle attachment if your outdoor cooking includes grilling English muffins for breakfast sandwiches, pancakes, and the like. I got really excited when I saw this one. I believe every household needs a tent stashed away somewhere — if not for camping then as an emergency shelter. 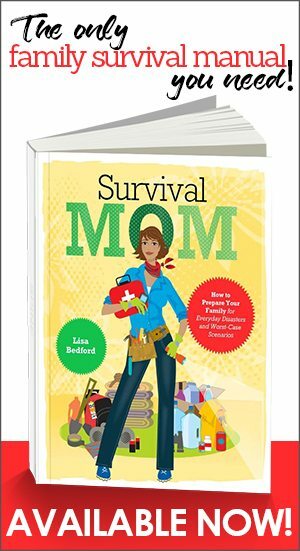 One scenario comes to mind, and I mention this in my book, Survival Mom, is one in which you must evacuate your home due to a fire, flood, whatever, and end up at a shelter that doesn’t allow pets. This tent is huge, although any tent’s claim to be “X-person” size seems to assume that those persons will all be the size of an 8-year old child. 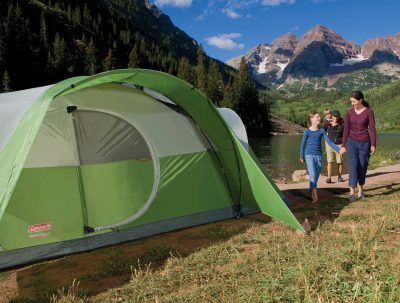 Still, it’s going to be large enough to accommodate most families, some air mattresses, pets, and whatever belongings you want to keep inside the tent with you. Plus, this is a bargain — a 69% discount. Emergency lighting is one area in which many of us fall short. We have stored water, a water filter, enough stored food to last a few weeks, at least, but what about lighting? 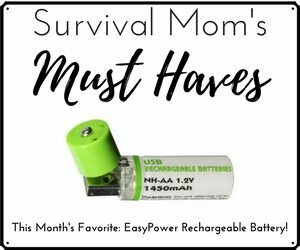 With a power outage, especially one that is long-term, do you realize how much you rely on lighting for everyday tasks and even survival? 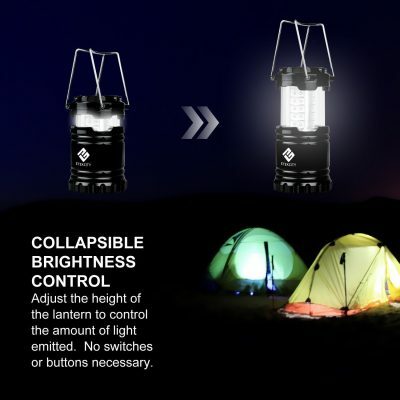 This innovative lantern is made from military grade materials, allows you to adjust the amount of light emitted, and provides 12 hours of lighting on a single battery charge. I had to buy a couple of these myself, but this one is a Lightning Deal, so you’d better jump on it fast. If you miss the super low-price deal, still take a look at the discounted price that will still be there. Mountain House is one of my favorite brands for the just-add-water type meals. I’m not a huge fan of these meals, in general, but for emergencies, they really can’t be beat. Every home should have at least 1-week’s worth of them. 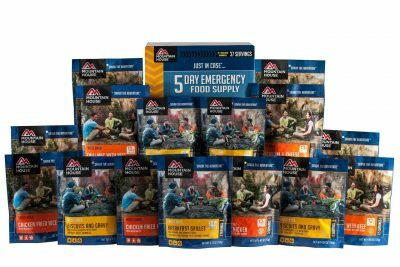 I wrote about these types of emergency meals in this article, if you’d like to read more before making a purchase. Over the years I have tried most all the varieties of foods Mountain House sells, and they are all very good. Their freeze-dried ground beef was one of the very first “prepper” purchases we ever made. The meals are lightweight, simple to prepare right in the heavy-duty mylar pouch, and are very portable. Keep yours’ in a handy place by the back door, or wherever you usually exit your home, so it will be ready to grab if/when you ever need to evacuate. Don’t forget to include a small pot for boiling the water and a small cookstove like this one. 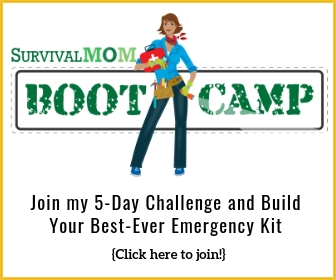 Prepper’s Guide to Food Storage — FREE on Kindle! 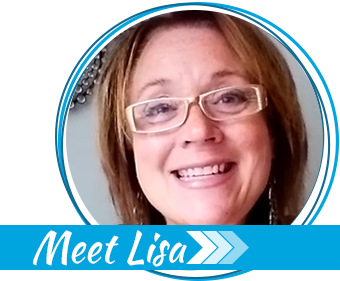 Popular blogger, Gaye Levy, has written a handy manual to help you make sure your food storage pantry is full of shelf-stable, nutritious foods. The Kindle version is free. The print version is $5.99. I’m still bargain hunting for you and may post additional super-deals as the day goes on. Be sure to grab that free 30-day Amazon Prime trial membership, though, so you’ll be ready to pounce! Watch my Facebook page, too, for up-to-the-minute deals. I tried to purchase some things on prime day and it didn’t work, then they sent me an e-mail the next day offering me what I wanted to buy at regular price. Well, that’s helpful and not so helpful at the same time! I’m sorry you missed out on those deals. I noticed that some things had 100% underneath them and I took that to mean the limited number available had been sold. So I didn’t try on those. Bargains are great but can be frustrating. Thanks for the “heads up”. My husband actually said he had been thinking of getting an Instant Pot and the sale deal did it. I also bought a couple of vegan pressure cooker cookbooks and if I never try any other dish the first one I tried is great enough to make the purchase worth while. We have tried a few things and are excited about our new “toy/tool”. But the link to your evaluation didn’t work. I trusted your recommendation and bought it anyway and thank you.